Since the founding of IME Group, IME Group has been able to gain trust and support from shareholders, clients and employees. 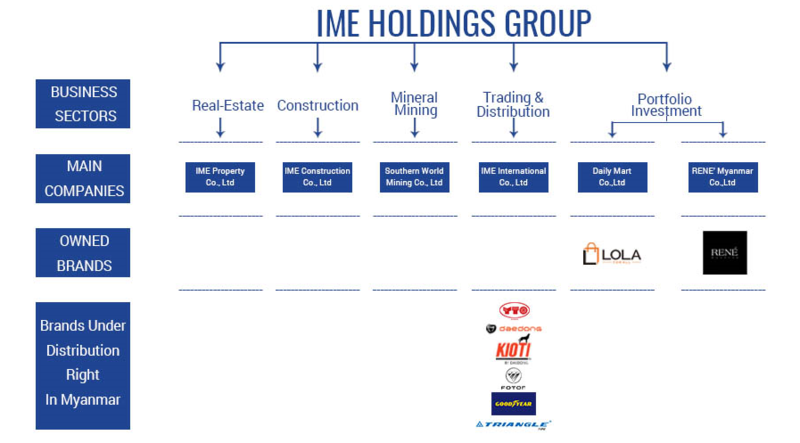 With the support of all stakeholders, the group is able to diversify its business portfolio into many sectors, and IME Group today employ over 600 full-time employees, and it is involved in Real-Estate Development, Construction & Engineering, Distribution, Retail, and Mineral Mining. IME Group is considered as a medium size company today; however, we are working very hard at every sector that we are in to be the industry leader. At IME, employees are treated fairly and respected in all aspects. We also believe that human resource is the key to success, thus we are providing and offering rewarding career opportunity for employees at all levels. With the strong talented team, we are confident to achieve our vision of becoming one of the most trusted and leading companies the region. 1. Accountability: Always be accountable for our actions. 2. Integrity: Integrity is planted in our heart and can never be compromised. 3. Commitment: Always deliver what we commit. 4. Teamwork: Always appreciate the roles of each team member to achieve greater mutual objectives. 5. Innovation: Be always innovative on what we do to create value for the organization. 6. 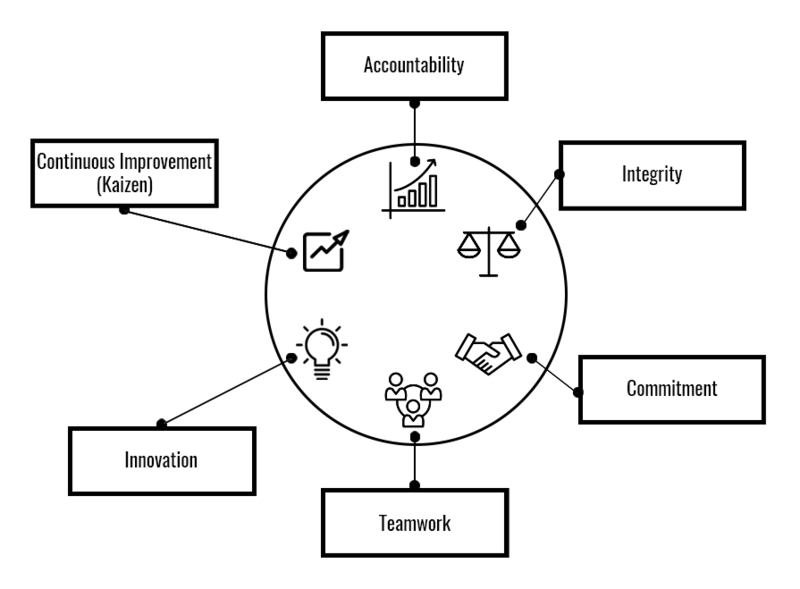 Continuous Improvement (Kaizen): Always drive for continuous improvement to be the best in everything we do.